Rubber Room Ramblings: GREAT WAYS TO SAVE! Stampin' Up! 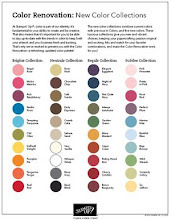 knows you are going to be just as excited about this new catalog as their current demonstrators are and they are offering two terrific opportunities for you to enjoy FREE products from this catalog. AND even better, you can combine these two terrific opportunities for one super-terrific opportunity to save! You pick whatever option is best for you and ENJOY FREE PRODUCTS! OPPORTUNITY NUMBER ONE: ORDER THE ULTIMATE BUNDLE! Order the Stampin' Up! Starter Kit for only $99 and customize it with your choice of up to $125 in product (that's $26 in FREE product) AND it ships for FREE. There's MORE, though. When you order the Ultimate Bundle and become a Stampin' Up! Demonstrator in the month of June, you can pick two more FREE STAMP SETS. That is up to an additional $104 in FREE PRODUCT. AND your Kit will also include 8 brand new 2016-2017 Annual Catalogs that you can share with your firends and family! OPPORTUNITY NUMBER TWO: Host a qualifying workshop ($350 minimum sales before shipping and tax) and receive $35 in EXTRA Stampin' Rewards. 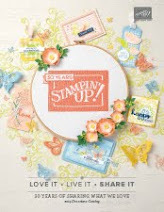 For instance, with a minimum qualifying order of $350, you will receive $77 in Stampin' Rewards. 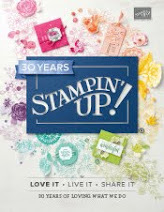 Stampin' Rewards are Dollars you can use to purchase anything in the catalog. That means, you get to pick out $77 of superior Stampin' Up! products, and it won't cost you a penny! The higher your sales, the more Stampin' Rewards you receive. Want more EXTRA Stampin' Rewards? Host more than one qualifying workshop and enjoy the EXTRA $35 for all of your qualifying workshops. OPPORTUNITY NUMBER THREE: Is your shopping list HUGE? 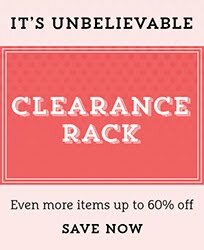 (that will happen when you lay eyes on this terrific catalog) Combine Opportunity Number One and Opportunity Number Two and really scoop up the savings! Hostess Rewards can be put towards the purchase of a Starter Kit, which makes the Starter Kit even more awesome! Let's say you hosted a party and had $475 in sales (before shipping and tax), that means you would have $101.50 in Stampin' Rewards. That is plenty of Stampin' Rewards to put towards the Starter Kit ($99). Now you get to pick $125 in merchandise and it won't cost you anything (not even postage) AND you can pick two more stamp sets (this could be a $104 value) absolutely FREE!. Call or text me at 248-909-8016 and I will help you pick the perfect opportunity for you.